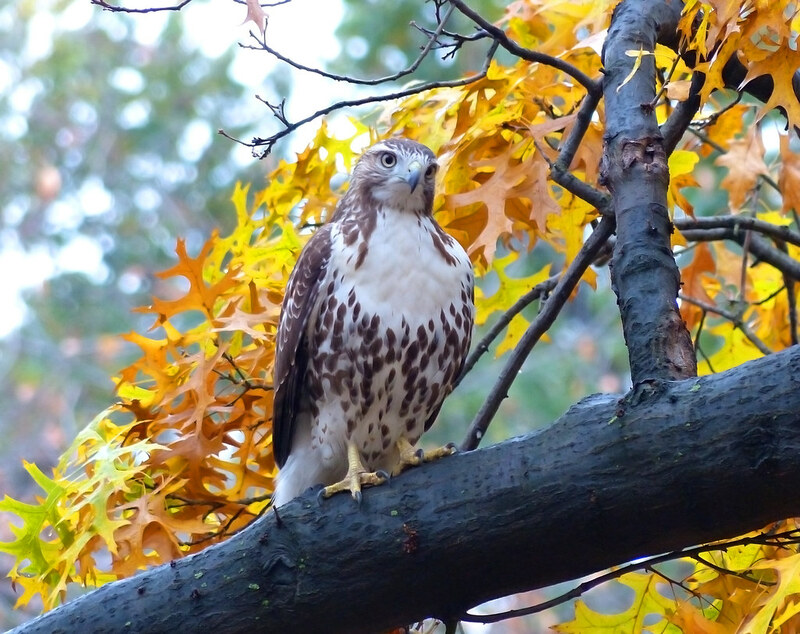 It was another hawk extravaganza in Tompkins Square today. Two or three red-tails as well as a broad-winged hawk kept me entertained for hours. This one was best at posing. But I noticed that, throughout the day, it kept raising its right foot, which is worrisome. You can also see the foot raised here. As well as in this video. 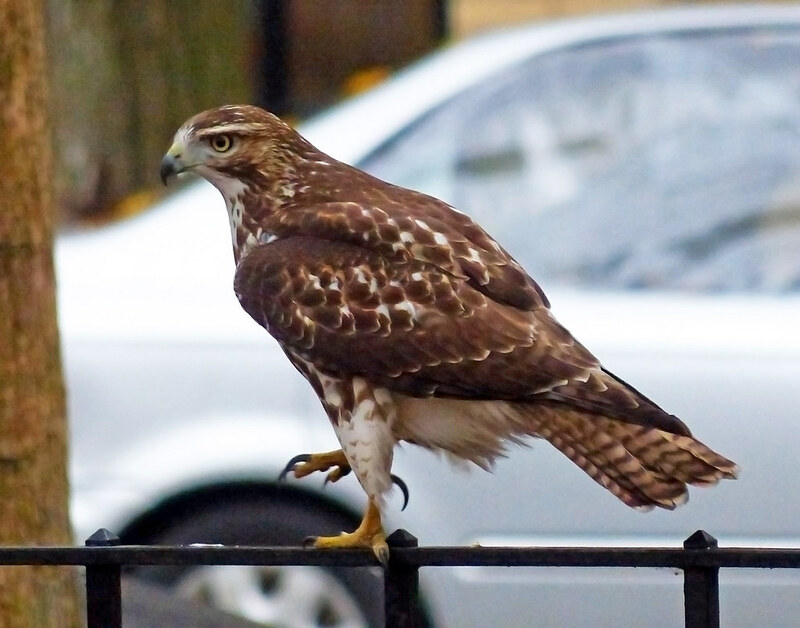 I'm hoping the hawk can make a speedy recovery. 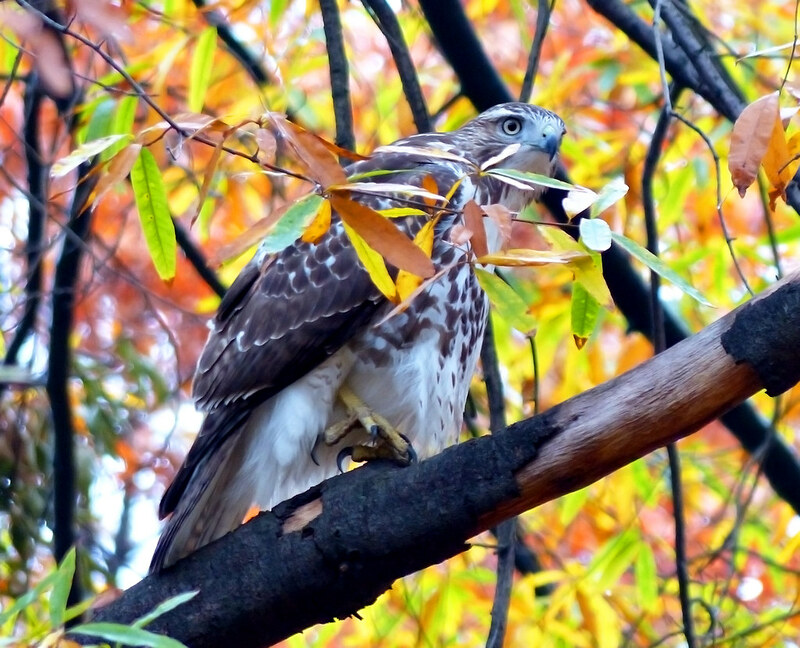 See more hawk photos here.